On this new record ( Toy Piano Records, 15.11.2016) my friends Matthew Halpin, Fabian Arends and myself devote ourselves to our love of playing tunes which are also very loveable. And love is very important these days! Available on iTunes, through the label or myself. Cheers. This is Philip’s new trio with Dominik Mahnig on drums and me on the bass. New music coming from two of my bands!! Both released and available on KLAENGrecords. Check it out, they sound great! 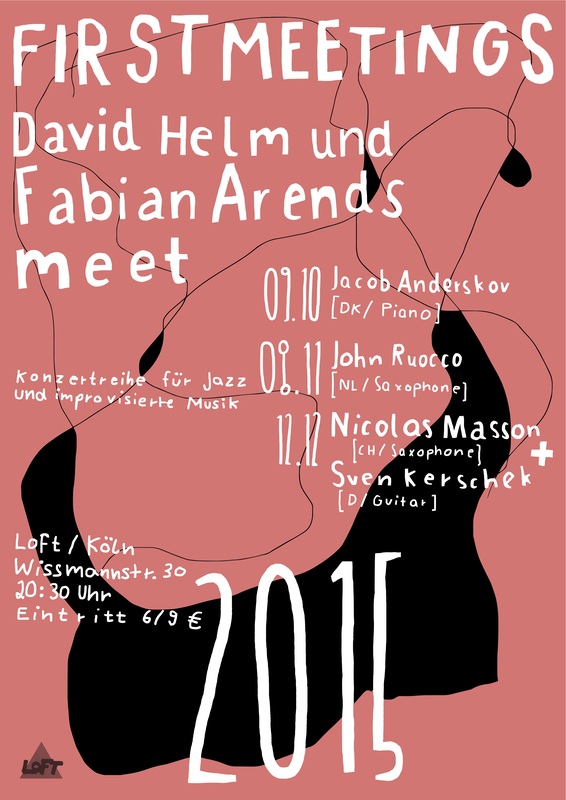 Here are some tracks from the FIRST MEETINGS concert series Fabian and I put together with John Ruocco, Jacob Anderskov and Nicolas Masson & Sven Kerschek in the LOFT Cologne. It was so much fun to play with those great people, hope you enjoy listening! Our debut album "What's for Dessert?" has just been released on LEO records. You can listen to it and get it directly from us at Bandcamp.